Comfort Plus Shoes & Footcare is your source for Haflinger shoes in Kansas City. Haflinger is known for its anatomically correct boiled wool slippers and wool felt clogs, but also, more importantly, for its outstanding quality and workmanship. Although the recipe for reliable footwear and superior wool has not changed since the early days of Haflinger, the line has evolved its product offering to include a range of styles. 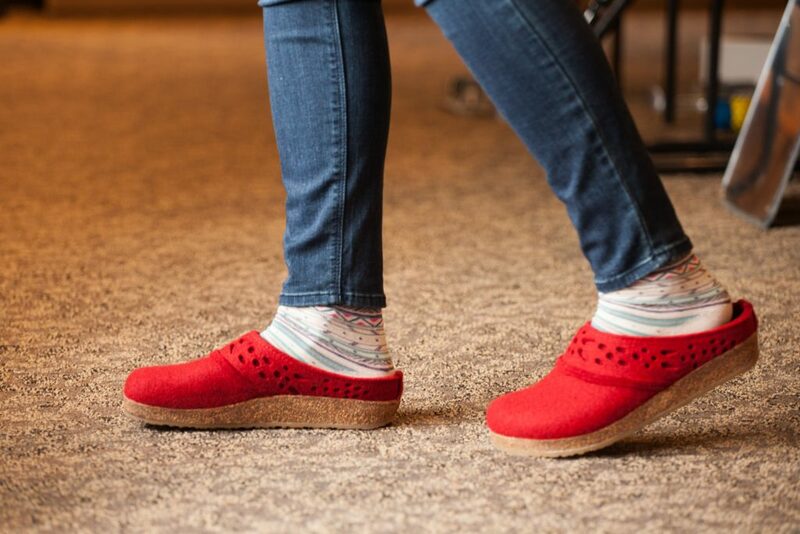 Whether you prefer the classic “Grizzly” clog, the breathable, comfortable boiled-wool slippers, or a shearling-lined slipper, Haflinger footwear consistently treats your feet to the best!